Choose your battles. Focus on the invasive plants that damage the environment! 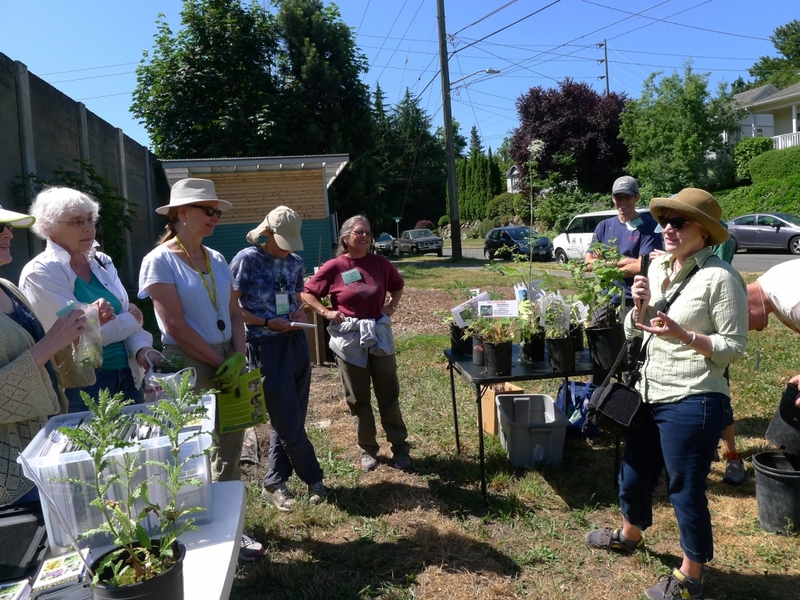 That was the advice given us by Karen Peterson, King County Noxious Weed Specialist, who awed us with her excellent presentation on invasive plants last Saturday. Karen explained that some plants are a problem statewide but others are a problem only in certain counties. Her department focuses on Class A noxious plants: dangerous, damaging plants that are not already completely out of control. Did you know you have a responsibility to control noxious plants on your property? Here are some reasons why this is a serious issue. Vegetative spreading plants just need a piece of the plant to further propagate: yellow archangel, purple loosestrife, yellow iris, knotweeds, and Himalayan blackberry. Some invasive plants can kill animals or people: tansy ragwort and poison hemlock, which is toxic even when dried! Some can make you pretty sick, like bittersweet nightshade. 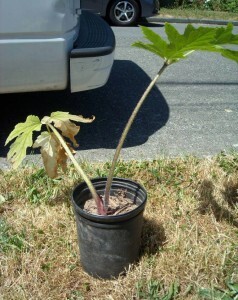 Giant Hogweed can cause burns and blisters and make your skin more sensitive to sunburn. Knotweed, one of the hardest plants to get rid of without herbicides, damages stream banks, chokes out the native plants and causes erosion when chunks of streambed break off. Scots broom is such an effective nitrogen fixer that native plants are ‘burned’ by the excess nitrogen. Stay informed. A good place to continue your education is to sign up for the King County Noxious Weed email list serve. They send an email about once a month. Speaking of food, the leaves of many nuisance weeds are edible, especially when they are young. In our orchard, we harvest plantain, dandelion, black nightshade (don’t do this at home) and shot weed. 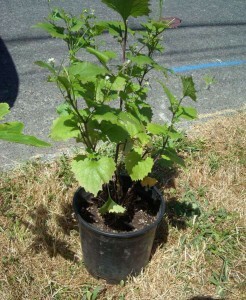 Try making pesto out of that garlic mustard, when the plant is young. 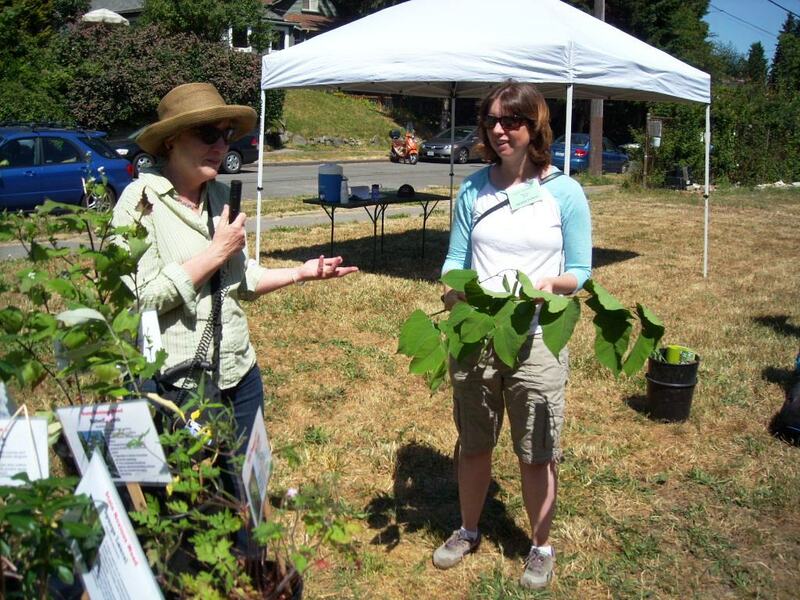 When visiting nurseries, mention the 2015 King County Noxious Weed list and ask if they sell plants on that list. Common examples are Yellow Archangel (Lamiastrum galeobdolon) and English Ivy (Hedera helix ‘Baltica’, helix ‘Pittsburgh’, helix ‘Star’ and Hedera hibernica). If you are not sure about a plant, email a photo to King County Noxious Weeds and they will help you identify it. It’s not a waste of their time! Lucky for us at FECO, we don’t have any of the Ten Most Wanted. Nevertheless, the following plants are very nearby and we keep an eagle eye out for their encroachment: H. blackberry, English ivy, butterfly bush, English holly, bittersweet nightshade, Morning Glory and Woods Rose. We are working to keep in check the following: common groundsel, herb Robert, fox glove, Himalayan blackberry and Canada thistle. Join us for the next work party and improve your plant identification skills! 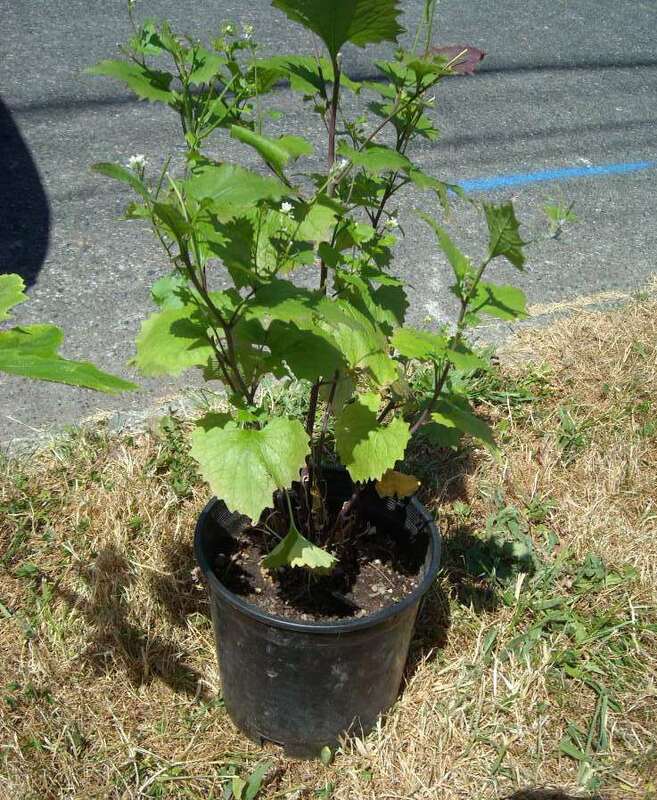 This entry was posted in Marketing & Outreach, Plants and tagged edible, education, invasive, pollinator on June 14, 2015 by Ruth.